He has been a sidekick to Hulk, Captain America, Captain Marvel & Rom the Spaceknight. Rick was transformed into A-Bomb by the Intelligencia and MODOK, using Abominations blood they changed him to become their weapon but couldn't control him. He was aided by Dr Bruce Banner. When Rick transforms into A-Bomb he gains protective plates of armor and superhuman strength & durability. 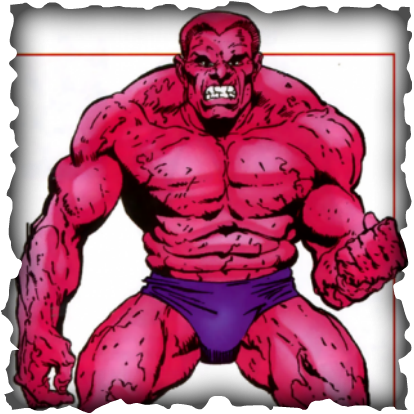 He is able to track the Hulk and Red Hulk because of their Gamma signature. He also has camouflage ability, as he is able to turn almost invisible to match his environment. 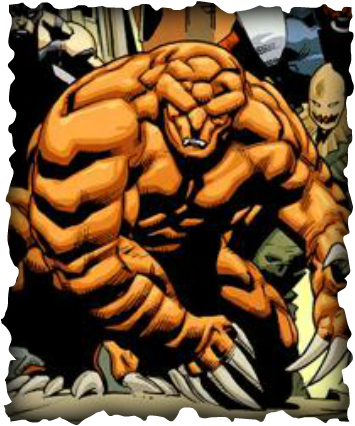 Blonsky, originally a Yugoslavian spy, bombarded himself with Gamma radiation in Bruce Banners lab and underwent a genetic transformation into a hideous monster after absorbing almost 3 x times the amount that transformed Banner into the Hulk. He joined forces with Rhino in an attempt to destroy Hulk at Banners base, but failed. 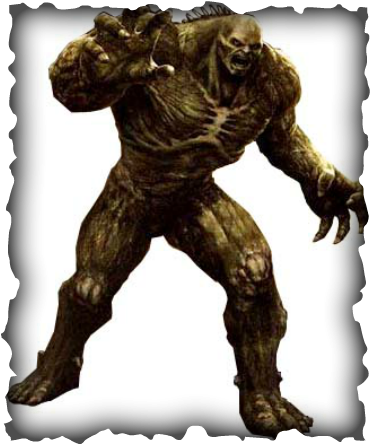 Due to the larger dose of Gamma radiation the Abomination has greater strength than the Hulk. 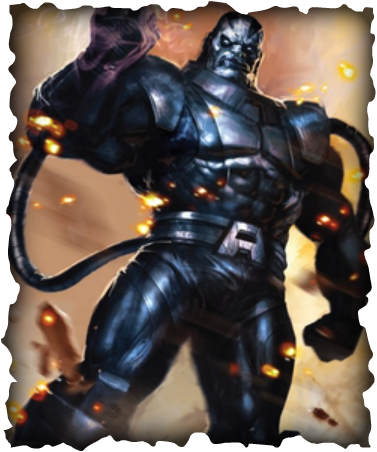 He can create shock waves, has a high resistance to pain, can withstand blows from high falls, artillery shells, Hulk, Hercules & Thor. He can endure extreme cold & heat, has heightened sight and hearing, can breathe underwater and survive in the vacuum of outer space. 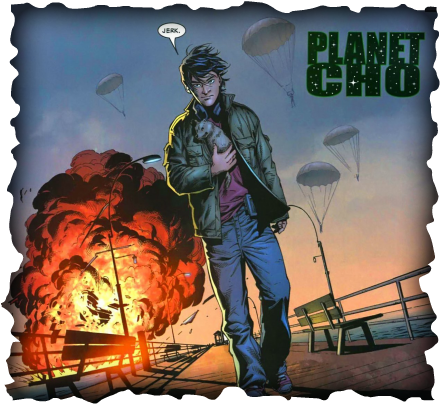 He is capable of absorbing further gamma radiation to increase his abilities but does not have the ability to change back into his human form. Creel had his powers bestowed upon him by Loki, the Asgardian half brother to Thor. He is able to alter the molecular structure of his body to absorb any material and take on its properties. If the object that he touches contains energy, such as a battery, then he absorbs this also. he has shape changing abilities when absorbing certain objects and can use mind control. He has absorbed Thors Hammer, Odins Cosmic Bolt, Captain Americas Shield, Ultrons metallic armor and Quasars quantam bands. He also has the ability to reassemble himself if his body is destroyed whilst in his non-human state. 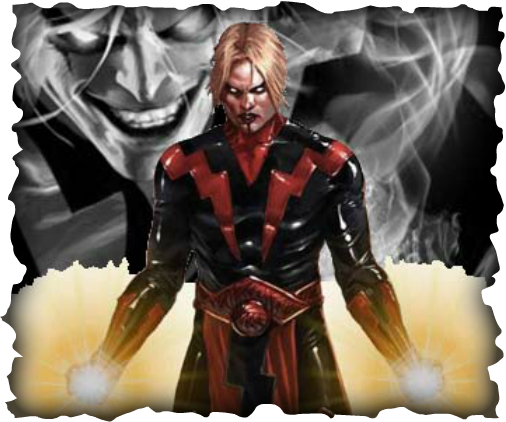 Half brother to Nightcrawler, he first appeared as a Genoshan bodyguard and later joined forces with Nightcrawler and the X-Men to prevent Azazel from invading earth with his army. Abyss possess the ability to unravel his limbs into coils and pull objects into his chest void, sending them into the Brimstone dimension. 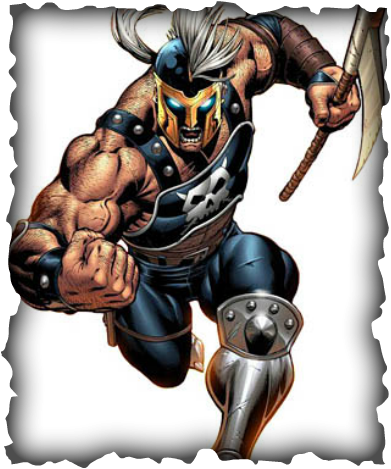 He is an immortal knight who has sired a number of superhumans with a female Genie. Born in the village of Ravenscraft in 1168 AD, he was a crusader that fought against the Saracens and captured by Al Kadhdhaab. He was sent on a mission to find the Djinn, however he was betrayed by Al Kadhdhaab and shot with an arrow, aware of this treachery Adam cut the rope binding the Djinn before Al Kadhdhaab could get to it, thus releasing the genie. The Djinn killed Al Kadhdhaab and healed Adam before making love to him and siring his children. 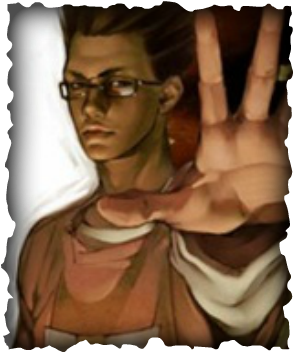 throughout the centuries Adam has fought against the Zombie army of Geong Si and armored aliens whilst travelling through the Sayan mountains to Japan. He was an artificial being created by the Enclave, a group of mad scientists and they named their creation as "him". Adam posessess superhuman properties such as strength, resilience, stamina & agility. 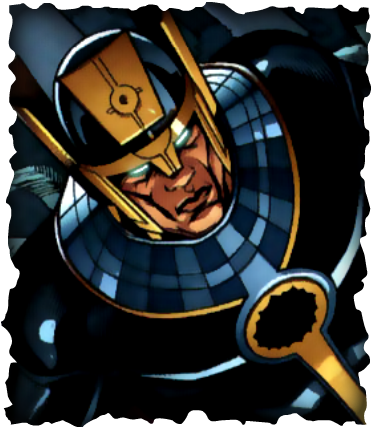 His cells are constantly absorbing and storing Cosmic energy, and he was even capable of battleing Thor in a dispute over Sif. He possessed the mystical breastplate of the Greek Goddess Athens, which he found in an abandoned warehouse. He fought alongside Captain America in the Secret Avengers. He died in battle attempting to keep Athena's breastplate out of the hands of Hera's Olympus Group. 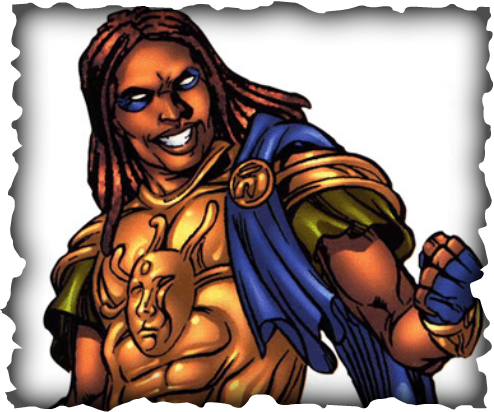 Aegis's abilities were that he was able to generate a force-field around himself through the breastplate. She is half alien and half mutant, leader of SWORD a sub division of SHIELD, she is very intelligent and fluent in many extra-terrestrial languages. 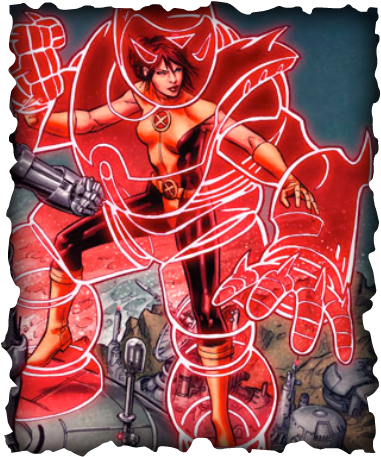 She is able to survive a laser cannon blast and can set things on fire through the bluish glow that is emitted from her hands. "Anna" & "Grace" are the two tattoos that she has on her left & right upper arms, the significance of which is yet to be revealed. 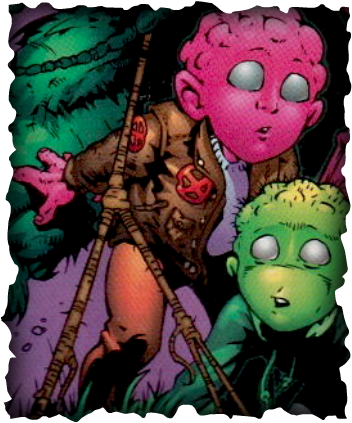 First appeared in Deadpool #65. 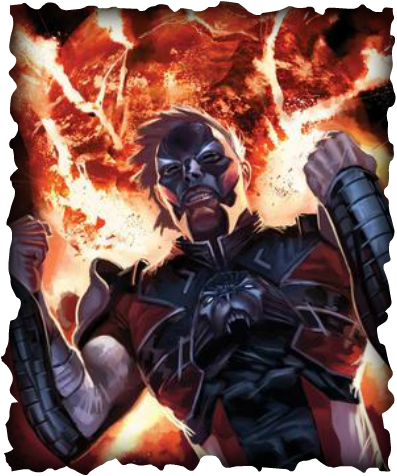 He was originally a partner of the mind-altering assassin Black Swan where he telepathically absorbed her years of training resulting in his abilities as a talented hand to hand combatant, proficiency with any weapon and excellent marksmanship. He also has above average speed, dexterity & strength and can recover from fatal wounds because of his powerful healing ability even to the stage of regenerating entire limbs within hours. Agent Zero is a mutant that can absorb the kinetic energy of an impact an then release this energy as acidic corrosive enzymes from his fingertips. He is a deadly hand-to-hand combatant, a precision marksman, and an expert in covert operations and demolitions. He also has vast experience with computers and communications equipment. 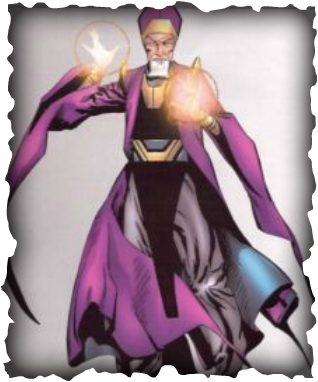 Aginar is an Eternal and can manipulate cosmic energy for a variety of effects. He has mastery over his physical form granting him immortality and the ability to recover from most wounds. He has superhuman strength. He can use his energy to levitate and fly at Mach One. He can convert his cosmic energy into heat, light, or a force which he can discharge from his hands or his eyes. 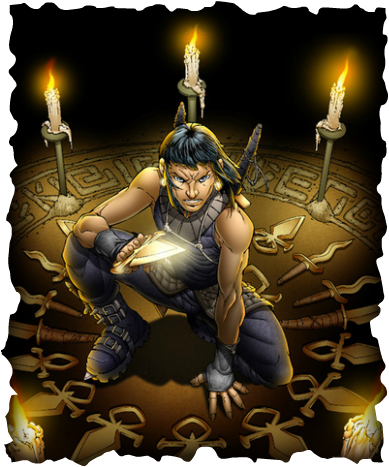 Aginar has low-level psychic abilities enabling him to cast illusions disguising his appearance. He is also able to read minds. He was born on the planet Xandar in the Tranta system, Andromeda galaxy, where he served as a Captain in the Xandarian Nova Corps. He has god-like strength, speed, durability, endurance and agility as a result of the Power Cosmic. 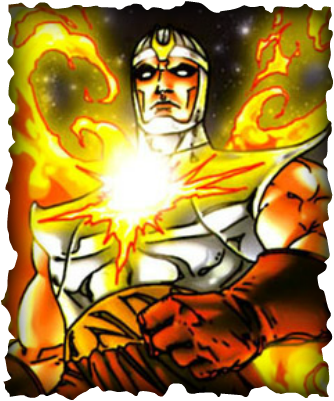 He has the ability to fire blasts of heat, force, magnetism, electricity and anti-gravity. 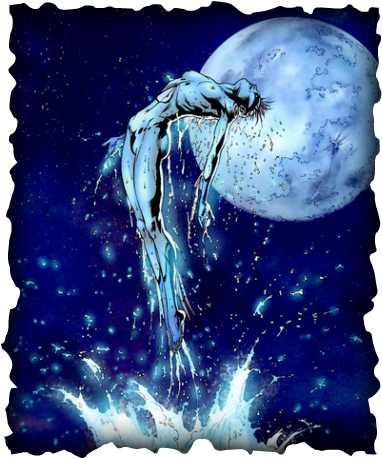 His cape appears as flames sprouting from his back, it is known as the Cape of Destiny and is Gabriels source of power and can wrap itself around an opponenet and smother life from them, the Silver Surfer is the only one known to have broken free from its grip. 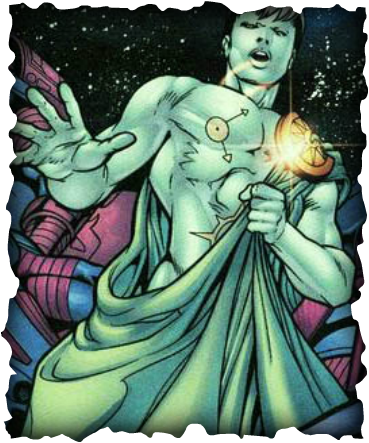 During his time as Herald for Galactus , Air-Walker carried the Trumpet of Gabriel which was used to summon his Master Galactus. Ajak is an Eternal like Aginar possesses the same powers and abilities as he to can manipulate cosmic energy for a variety of effects. He has mastery over his physical form granting him immortality and the ability to recover from most wounds. 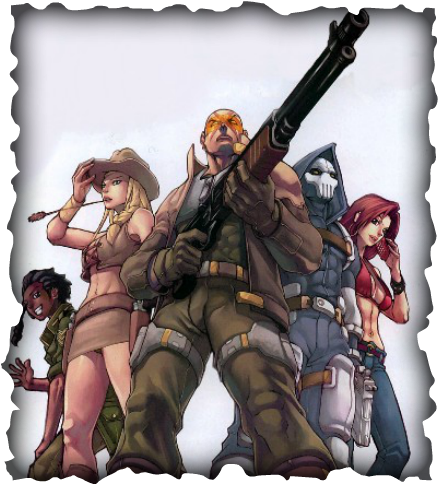 He joined Thunderbolts #104 in 2006 after leaving the subterranean race known as Lava Men. As one of the Lava men, Ajaxis has the ability to withstand extreme heat and can stand in molten lava without causing harm to himself. Published by Marvel Comics under its imprint Icon Comics, it is the story of an assassin who struggles with her identity in near-future Japan. She is a vet/artist who works at the Little Friend Animal Clinic, she is a former Noh agent. All Noh assassins bear a dragon tattoo on the back. The dragon wings spread to cover both shoulders, while the tail reaches to the lower back area. A bulletproof Kabuki mask covers the face, to conceal the identity. The mask is made of the ceramic lightweight material that used for Japanese bullet trains, and is stronger than metal. 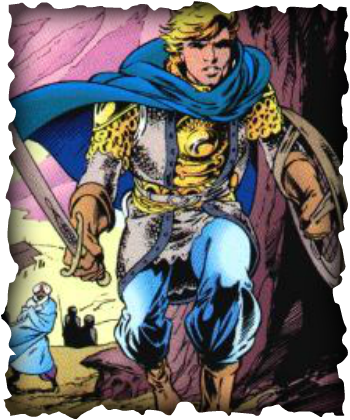 He first appeared in Knights of Pendragon #8 1990. The spirit power of Pendragon was bestowed upon him by the mystical Green Knight in 1914. 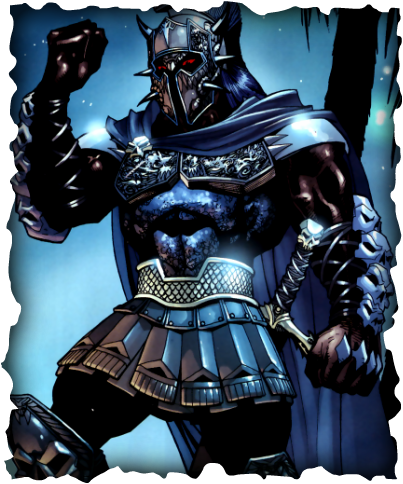 He was later recruited into the Time Guardians Dark Guard (Formerly Knights of Pendragon) alongside Deathshead, Killpower, Motormouth and Dark Angel. 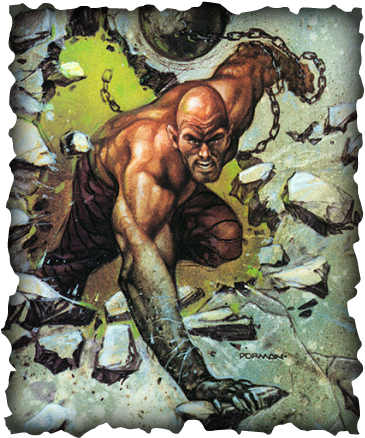 Albion has enhanced strength, agility & durability, he can sense the Bane and force magic flames from his hands. His armor protects against both physical & mystical harm as well as amplifying his senses. He is able to use the Authurian Tarot to help determine future events. The armored suit is bonded to him and cannot be removed unless he wills it. 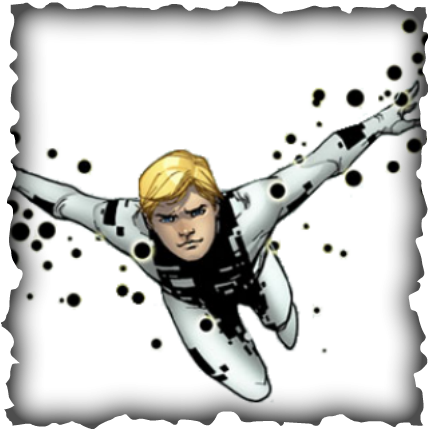 Alex, along with his siblings Julie, Jack & Katie are all members of the Power Pack, the youngest Superhero team. Alex has three powers, Flight, Density & Gravity. With flight he can travel leaving a trail of light behind him and break the sound barrier. With Density he can disperse his molecules to become mist or shrink them to become smaller and more dense. With Gravity he is able to float and generate explosions . He was the unofficial leader of the superhero group The Runaways. He battled against his parents Geoffrey & Catherine Wilder as they were members of the villain supergroup The Pride. 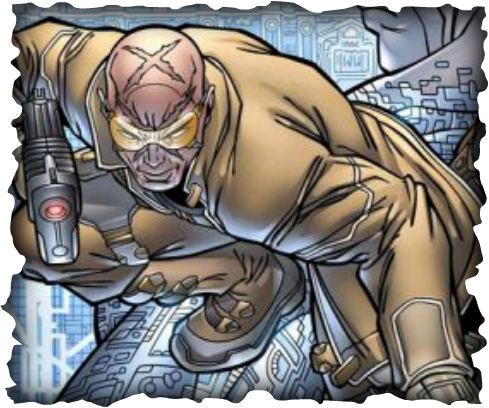 Alex was the only member of the group that did not adopt a superhero moniker, he did not have any super powers or technological devices, however he was a gifted tactician..
His full name is Alexander Goodwin Pierce and he came out of SHIELD academy as one of Nick Furys most loyal operatives. 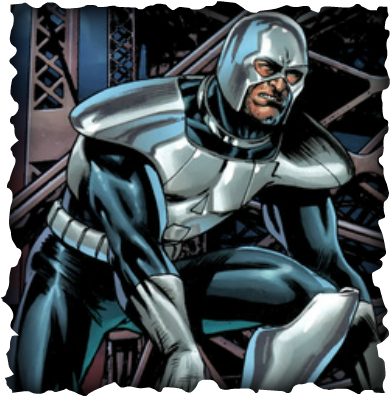 He was given command of Team Black and carried out a joint operation with the Howling Commandos against the HYDRA stronghold of Hells Heaven in China. The mission was a success for Pierce. 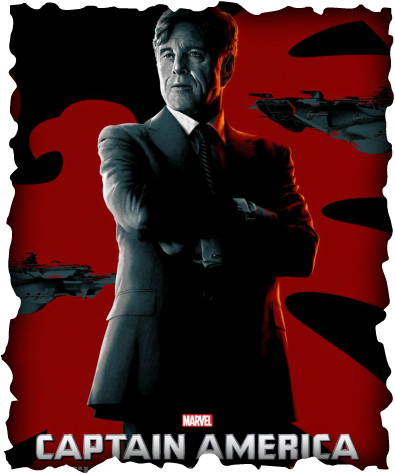 This picture shows the character Alexander Pierce played by Robert Redford in the Marvel film Captain America: The Winter Soldier. 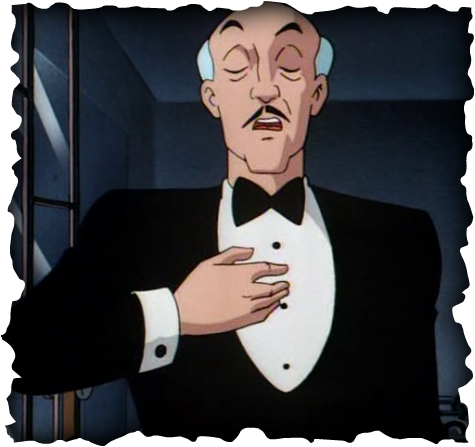 Although hired as a butler at Wayne Manor, Alfreds duties go far beyond that of a standard butler. He is a retired intelligence officer, previously MI5 and medically trained. He is a valuable member of the support staff for the Dynamic Duo known as Batman & Robin. He is affiliated to the Batman family and the Secret Intelligence Service. After he had retired from MI5 he followed his love of acting however on the death bed wish of his father he took up the position of the Wayne family butler as per his family tradition. He was born with a superhuman brain called a Hypermind, giving him the ability to percieve and calculate the endless possibilities of a moment and making him the seventh smartest person on the planet. Amadeus' brain needs sugar to operate at that high of a level, so he needs candy and junk food to fuel his intelligence. Jason took up the mantle of American Eagle, champion of the Navajo people, and travelled to the Savage Land where he battled and defeated the Klaw. 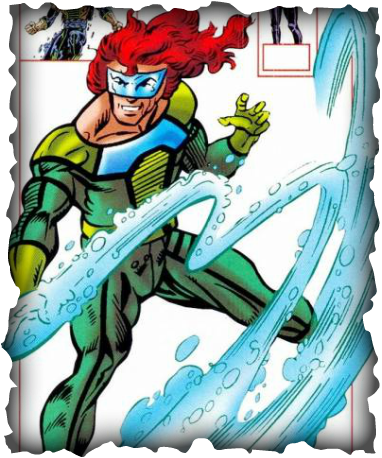 He has enhanced hearing & sight, with superhero strength, speed, stamina & reflexes as a result of his mutation. He also carries a crossbow. On her 17th birthday Amys mother told her the truth of her birth. She was a member of the house of Amethyst, a princess of Gemworld. Once on Gemworld Amys appearance resorts to that of her familys heritage and she gains magical powers and abilities. She is already skilled at sword play, as her mother had trained her well in the early years, and this made her a formidable force in this fantasy realm as there were other ruling Houses vying for power. She is the last descendant of the Shosei Clan, the mystical guardians of Japan. As a child she was saved by Wolverine and he has cared for her since. 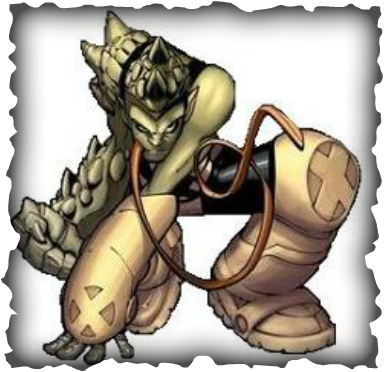 Amiko is not a mutant, although her abilities far exceed those of an athlete due to her rigorous constant training. She has peak agility, speed, stamina and reflexes. As a descendant of the Shosei Clan she also possess the ability to wield magic. 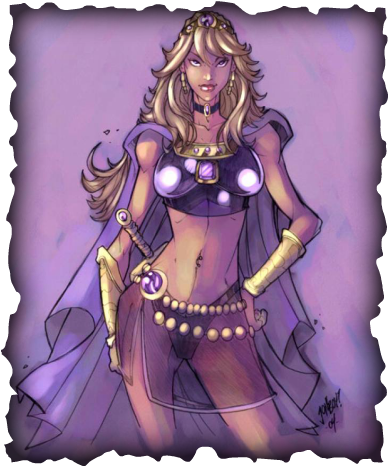 She is an Asgardian goddess skilled in the use of magic and seduction through supernatural means. She is an enemy of Thor. The Enchantresses magical powers are amongst the most powerful of all Asgardians. 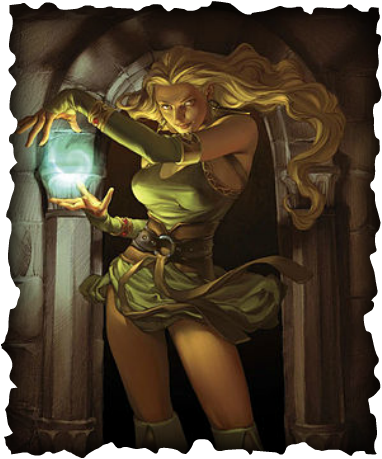 Her powers derive from two main sources; her capacity to manipulate Asgardian magical energy and her knowledge of spells & enchantments. 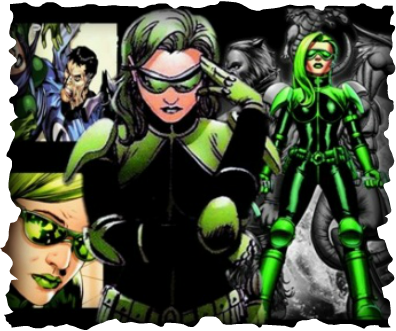 Amora can also alter her appearance, taking the shape of other humanoid beings or teleport herself and others across great distances. There have been two Amphibians, the first was Kingsley Rice a male and founder member of the Squadron Supreme, and Kingsley a female as named by Dr Spectrum. When she was born her physical appearance was quite a shock to both her parents , her father ran off and her mother waded out into the ocean to try to drown herself and the baby, but Kingsly "the baby" swam off and wasnt heard of for many years. She was found and befriended by Dr Spectrum when the crystal had taken him underwater to recuperate from a fight with Hyperion. 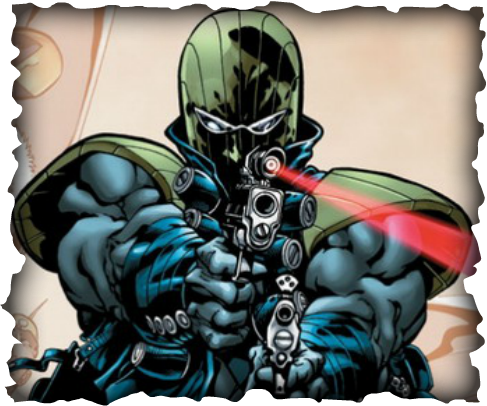 He is an Egyptian assassin hired by the Sisterhood of the Wasp to serve under Vincent. He has limited spell casting abilities, however he is adept at martial arts and has the aim and agility to throw sharpened metal ankhs as fast as bullets. he has the ability to run at 160mph using the power or Rewi. He was born over five hundred years ago in Kamar-Taj in the Himalayan mountains. He joined a body of sorcerers known as the Ancient Ones and soon became the most powerful sorcerer amongst them. He battles to protect Earth against villainous sorcerers. He had the ability to perform astral projection, and mesmerize people to do his bidding even at great distances. He could also tap into the universes ambient magic and possessed a knowledge of spells & incantations. 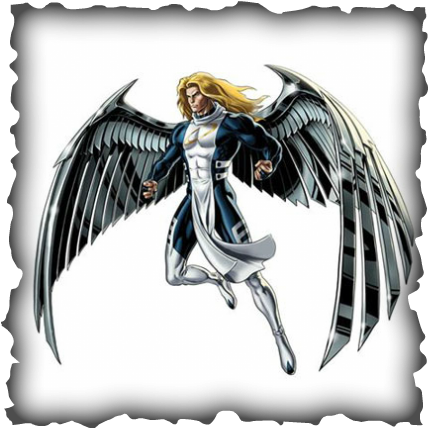 He was born into a wealthy family and attended an East Coast boardign scholl where he discovered his ability to fly during a fire at the school. He has a 16' wingspan and can fly at speeds up to 150mph. He is skilled in aerial habd to hand combat and is a sucessful business man whose wealth ranks him in the lower part of the Fortune 500 list. 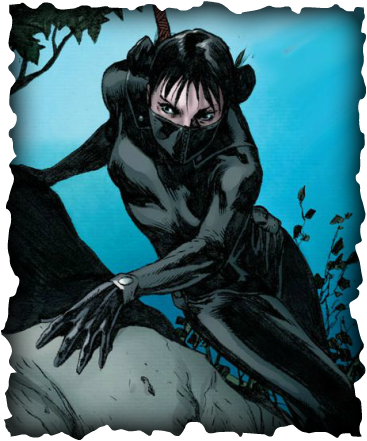 First appeared in Guilty Pleasures #1 (2006) Her full name is Anita Katerine Blake, she is an animator in that she can raise the dead, a skill and ability passed to her by her Grandmother a Vandun Priestess. However she is known as the Executioner in the vampire underworld as she works with the police to bring violent vampires to justice. 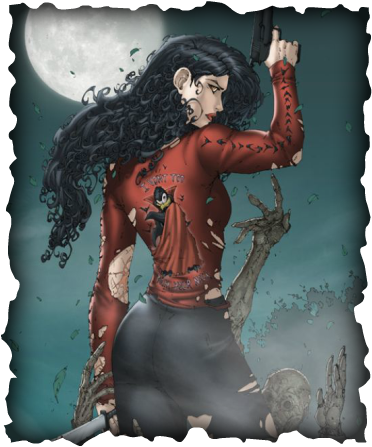 She has the ability to raise the dead into Zombies, as well as exert control over undead creatures. He originally started out as a weak insect creature that evolved from a discarded Tyannan spore. 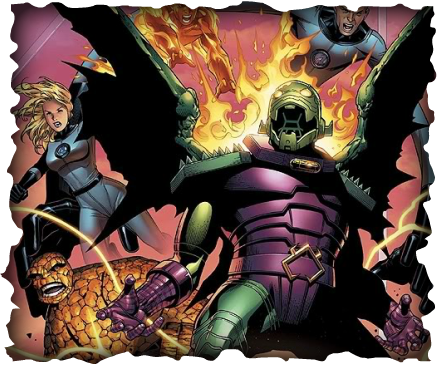 After finding the wreckage of the Tyannan spaceship he used the materials and tech on board to evolve into Annihilus and traveled the universe destroying creatures that he considered a threat to his existence. His exoskeleton renders him superstrong and he has scalloped wings that enable flight upto 150mph. He can exist in space for upto one year. He attended Xaviers Institute and became squad leader of Northstars Alpha Squad. Spiked carapace on head a sticky tongue and able to cling to solid surfaces. He is also able to camouflage his skin to match almost any surface. Anole is also a talented actor. 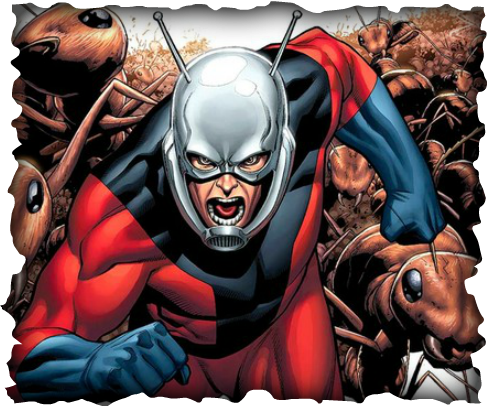 His abilities are that he can communicate with Ants through the suit and shrink himself down to ant size. He is an expert in electronics and was a founder member of the Avengers, also affiliated with Fantastic Four & Heroes for Hire. He was an actor who played the part of Iron Man in a TV show, and close friend of Tony Stark. However due to alcoholism he had to enter rehab and became the face of the recovery movement. He was picked by Tony Stark to become The Orders field operative. He possess the power of a supercell thunderstorm and the abilitiy to generate electricity in the air by seperating positive & negative charges. He is a master of alien technology especially genetics & biochemistry. He has control of his body on a molecular level allowing him to shape change and grow to gian sizes. He can transform his arms into wings or jets and gain the power of flight. He has the ability to control and direct liquids. He can create watery monsters and humanoid servants , however his ability is somewhat limited when away from large bodies of water. She has the ability to weave "psi-webs" to snare her targets. She also has enhanced speed and stamina, also agility & reflexes. 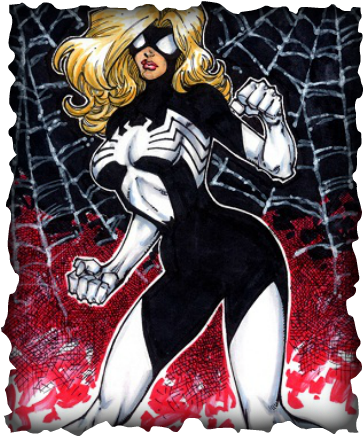 As spider woman she lost these abilities but re-emerged as Arachne and has maintained some, if not all , of her previous powers. A brilliant designer in the construction of theme park type complexes in which he builds death traps , the parks are called Murderworlds. he possesses a genius level IQ and a natural aptitude for mechanics. He is an immortal with superhuman strength and abilities and an unebding lifespan, although he is not immune to the effects of weapons of a mgical nature such as Mjolnir, Thors hammer. He is a master of Olympian weaponry and well versed in military tactics especially those of the Greek & Roman armies. He is the son of Zues & Hera and is one of the immortal Gods of Olympia. By his very nature he is a villain, his mere presence creates acts of violence and riots. He is the God of war and this follows in his wake, he is a master of conflict & strategy can weild any weapon. She is the daughter of immortal knight Adam Destine and a female genie. She graduated from college in 1972 and goes by the name of Samantha Hassard of France. She has the power to generate and form metallic objects and weaponry around her, to include knives, swords and full body armor. Covered in armor plating and tough hide, this protects against ballistic weaponry and light anti-tank weapons. His skin can withstand exposure to flame , ice & acid without harm. He is a former henchman of Dr Karl Malus. 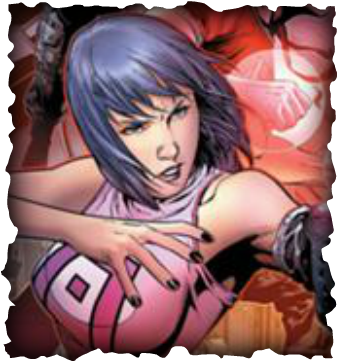 Real name Hisako Ichiki, she is a Japanese teenage mutant that has joined the ranks of the X-Men. 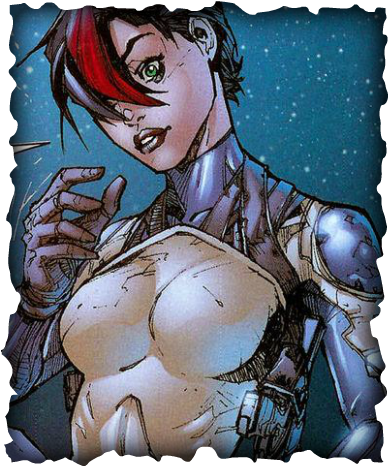 Using her mutant power she is able to create psionic energy or"armor" with enhanced strength & durability. Armory is a human equipped with an alien weapon called a Tactigon. This weapon attached itself to Violets left arm once when she jumped off a bridge in a failed suicide attempt. The Tactigon can shapeshift into different weapons that will help her defeat her opponent. He is a Supervillain and master of biochemistry, he is the arch enemy of Captain America and the Avengers. 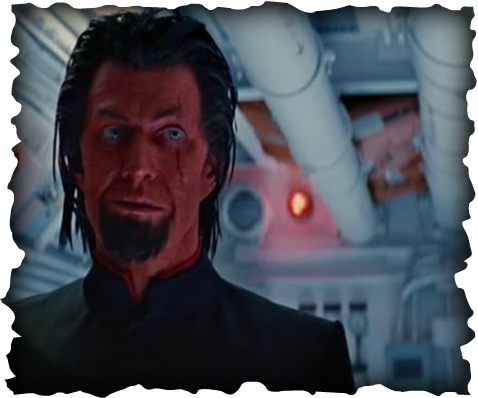 He was a Swiss biochemist during WWII and formed a partnership with Red Skull. He created Primus, Doughboy and Man-Fish. He has no superpowers, however he is a scientific genius. He has cloned the body that carries his holographic projection of a head and can transfer his consciousness into other clones if the body is destroyed. She is the daughter of Dale & Stacey Yorkes, a couple of fugitive time travellers. She has a genetically created dinosaur named Old Lace with whom she is linked empathetically. Arsenic formed a group called the Runaways with other kids, and they fight and disrupt the plans of an organisation called the Pride which is made up of their parents under the direction of the Gibborim, a race of ancient giants. He is a mute mutant whose father, Dr Carl Maddicks, was trying to cure him. 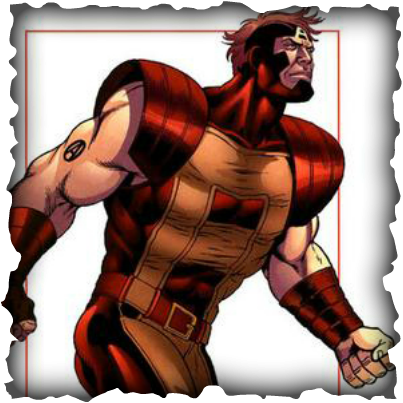 Whenhis father died he became a ward of X-Factor and appeared in the X-Titles, X-Terminators and then later in the mid 1990s in Generation X. 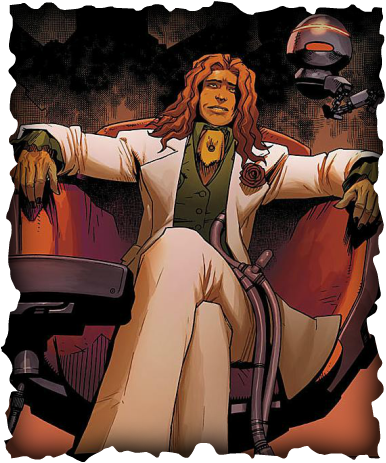 As a means of defence Artie can project large scale telepathic holograms of his thoughts and even mind lock people to prevent them from carrying out certain acts or tasks, almost to the extent of an entire city population. 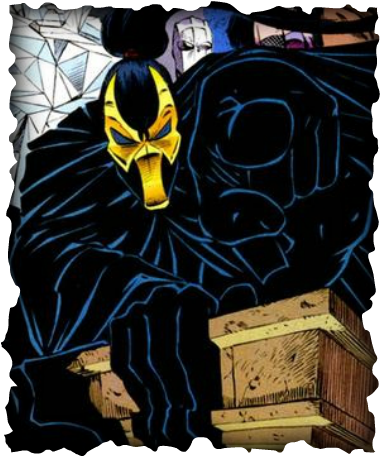 Originally a villain as a direct result of the Darkforce, he was defeated by the New Warriors (with the help of Spiderman, Dr Strange, Firestar & Dagger) and he dissapperaed into the Darkforce dimension. He later returned as to Earth through the mask once used by Asylum, this was put on by a gang member and the power of the Darkforce overcame him, however Gallante had taken his place and taken the identity of Asylum for himself. He then sought out Psionex and became their new leader to clean up New York City as their newest superheroes. Using the Darkforce he is able to Teleport himself and others also direct blasts of energy. A career criminal he turned would-be hero, his powers & abilities are that he can grow to gigantic sizes and has superhuman strength due to the ionic charge within his body. He was originally a native of the planet Ryut in sector 0666 and led a peaceful existence until Oan Krona induced a programming malfunction in the Manhunters and they extinguished all life in that sector with the exception of five. Atros and the other four joined together to form the Five Invursions, bent on destroying the Guardians of the Universe and all who follow them.. He is a sorcerer and using blood magic he can call upon the necromantic powers formerly used by the Empire of Tears and later by the Five Inversions. He can envisage prophecies using the blood rituals and he possessess superhuman strength and durability and can project acidic blood. Having been imprisoned for over a milenia he has developed a great rage for his jailers The Guardians of the Universe and The Green Lantern Corps. 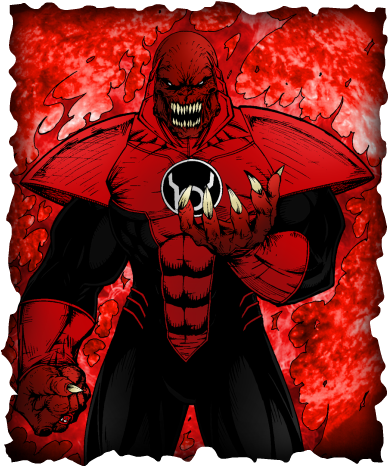 He has the Red Lantern Power Ring and also the Red Lantern Power Battery and has the ability to fly. 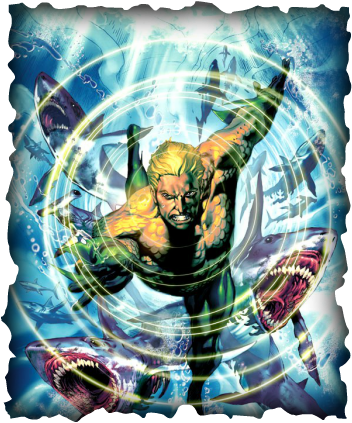 His powers and abilities are that he has super strength and durability, can control sea life, can breathe underwater and has incredible swimming ability. her powers & abilities are that she can move and fly at super speeds through channeling the kinetic energy of her bodys molecules. 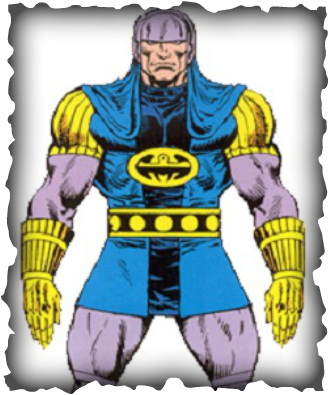 He was originally a villain as a member of the Brotherhood of Evil Mutants, however later joined a government run organisation named Freedom Force and was sent on various missions. His powers & abilities are that he can generate powerful waves of vibrations from his hands producing similar effects to that of an earthquake or avalanche. 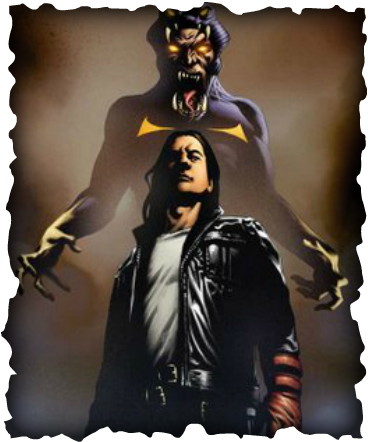 Azazael is a mutant from Biblical times and rules over a race of demonic looking mutants known as the Neyaphem. 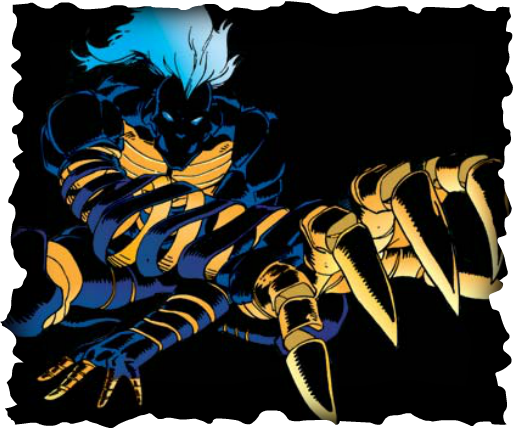 He is the father to Nightcrawler, Abyss and Kiwi Black. 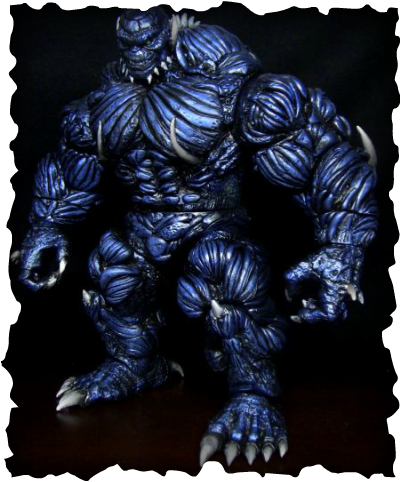 Nightcrawler is also the offspring of Mystique a member of the mutants. His powers and abilities are that he can fire blasts of energy, teleport, has great knowledge of Dark magic, is a master swordsman and immortal. He has control over the creatures than dwell in the Brimstone Dimension. 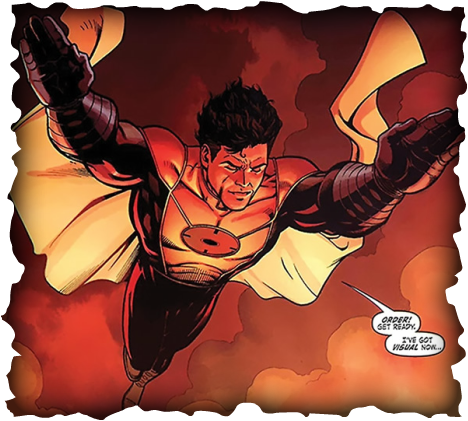 He is however unable to tolerate the blood of Angels as this is caustic to him and other Neyaphem, as proven when Angel tried to heal Nightcrawler using his blood which appeared to burn him instead. He has black hair, black eyes with yellow pupils and red skin. He has a pointed tail and ears and fang like canine teeth. This organisation was created during World War II and was the scientific research division of HYDRA. In the late 1960's AIM parted company with HYDRA due to political differences and they began independent operations. 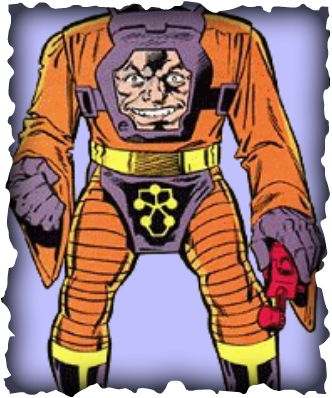 AIM created M.O.D.O.K (Mental Organism Designed Only for Killing) It is an artificially mutated human with an enormous head and possess superhuman intelligence. 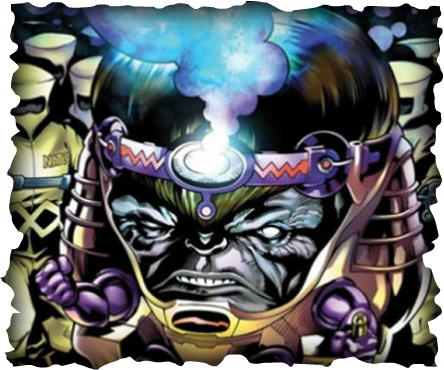 Modok slew the scientist supreme and became the new leader of AIM. 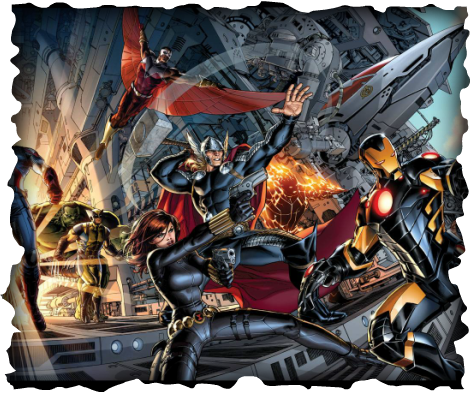 The founder members of The Avengers were Iron Man, Thor, Hulk, Ant-man & wasp, utilizing Tony Stark's (Iron man) Manhattan residence as their Headquarters. They were later joined by Captain America and then some time after this they were also joined by Hawkeye and the mutant siblings Quicksilver & The Scarlet Witch. Over the years other superheroes have come and gone with various affiliations such as the west Coast Avengers.